In 2012, the Diocese of West Texas put forth the name of Artemisia Bowden to the Episcopal Church General Convention for inclusion on the church Calendar. The church Standing Commission on Liturgy and Music (SCLM), which receives such names, declined to put it forward to the entire General Convention owing to the fact that the Calendar is crowded and the SCLM said it would not consider the addition of any names that year. No doubt Miss Bowden’s name will again be presented to General Convention when it meets next in 2015 in Salt Lake City. In September of 1902, a young, well-groomed black woman boarded a train in Atlanta, Georgia, bound for San Antonio. In her purse she carried $32 traveling money that had been sent her by the Rt. Rev. James Steptoe Johnston, bishop of the Diocese of West Texas. She wore a one-half-inch-wide red ribbon on her left shoulder, as Johnston had instructed in his letter of invitation to her, so she could be recognized by those who would meet her train. Bishop Johnston was a determined man, but so was the young woman, Miss Artemisia Bowden, who was coming to San Antonio to take over leadership of the fledgling St. Philip’s School. She would lead that school, sometimes singlehandedly, for the next 52 years, by which time it would become St. Philip’s Junior College, part of the Alamo Community College District in San Antonio. He recruited Mrs. Alice Cowan and opened St. Philip’s School in March 1898. The class met in the front room of St. Philip’s rectory. Later that year, Johnston raised $2,200 for a piece of land and a school building which he named St. Philip’s Industrial School; 18 students were enrolled in September 1898. One of Bowden’s personal mottoes was “Learn to do something, and do it well.” She would face obstacles aplenty over the next 52 years as head of the little school that eventually became a junior college. She anticipated success, never failure. “A person who has courage must be full of faith,” she said. “A goal is set for the purpose of achieving it.” But the school was continually plagued by financial problems, and by 1934 it was close to financial disaster. In 1940 the diocesan council called for a corporation to have full control of the school. The churches of the diocese had decided to sever all ties with St. Philip’s School. Even so, Artemisia Bowden continued on in full faith that the school could become a great educational institution. 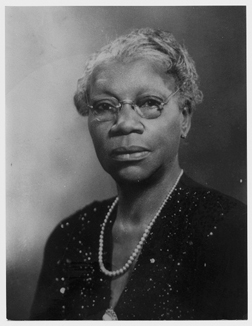 In 1927 she had succeeded in guiding the school to junior college status, and by 1942 she reached a successful outcome in a long campaign to have the school incorporated into the San Antonio Independent School District as a city-supported and publically-owned educational institution for black youth. In 1945 St. Philip’s Junior College and San Antonio Junior College formed the San Antonio Union Junior College District under a newly-formed board of trustees. The name was later changed to the Alamo Community College District. Artemisia Bowden died in 1969 in San Antonio.